With eight kids, the only holidays my parents could afford were long days at the beach. My favourite part was when they’d pull out the hibachi and the seemingly bottomless picnic basket. 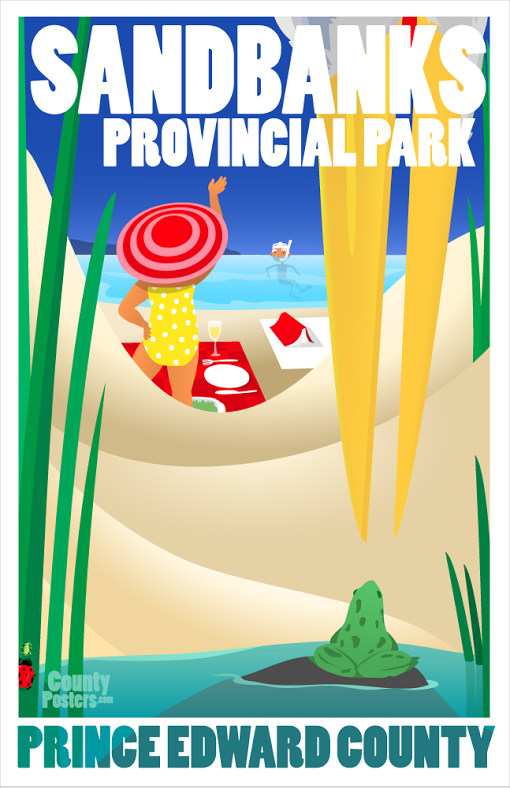 Sandbanks Provincial Park is a jewel for Ontario’s beach lovers. Long sandy beaches with turquoise water, surrounded by campgrounds, nature walks, rivers and the largest baymouth dunes the world. And you can still barbecue on the beach. 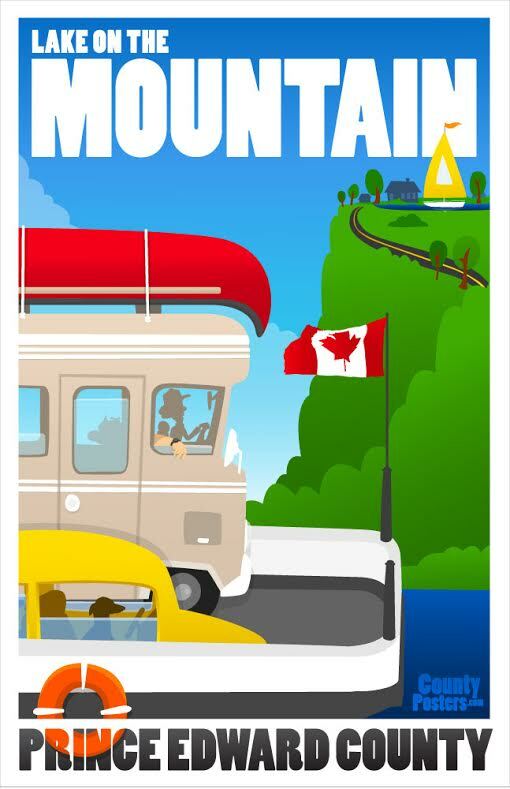 By Marc Keelan-Bishop – a children’s illustrator from Prince Edward County, Ontario. His bright, crisp art has festooned gallery walls, posters, comics, magazines, books, video games and all corners of the internet. With life-long experience as an artist and post-secondary training as a journalist, he’s crafted a career focused on communicating complex ideas with revelatory illustrations and distilled language. You can view his other poster collections here.